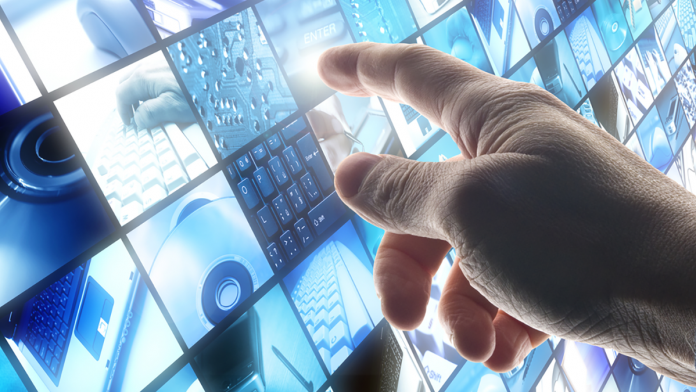 Information, media, and entertainment (IME) providers now face a new wave of challenges brought about by digital technologies and business models. Social media giants such as Facebook, Twitter, LinkedIn, and Snapchat, not satisfied with their goal of connecting virtually everyone on the planet, now want to be the windows to the universe of content. Those companies, along with Amazon, Apple, and Google, seek to colonize every corner of the IME space. These titans continue to make massive investments to strengthen their content creation, distribution, and consumption. Players in news and information services will coalesce into information/insight providers, delivering content through social media and digital assistants such as Siri and Google Now. Companies in broadcast, music, and entertainment will merge to become entertainment experience providers, delivering through their own environments (such as HBO GO) as well as via third parties such as Netflix, Hulu, and YouTube. Participants in educational publishing (including educational institutions, providers of assessments, and ancillary services) will combine to become educational outcome providers, helping students gain expertise in a particular field or training for a specific job. By now, most IME companies have invested to some degree in digital content ecosystems. However, many are not equipped to confront the legion of new, more agile competitors—and run the danger of becoming the losers in that war. We also predict that some players will attempt to move from one layer to another to create vertically integrated offerings and cross over into other mega segments to build new experience models. Quality uniqueness. Is the content you deliver similar to what your customers can ac­cess for free on the Web? 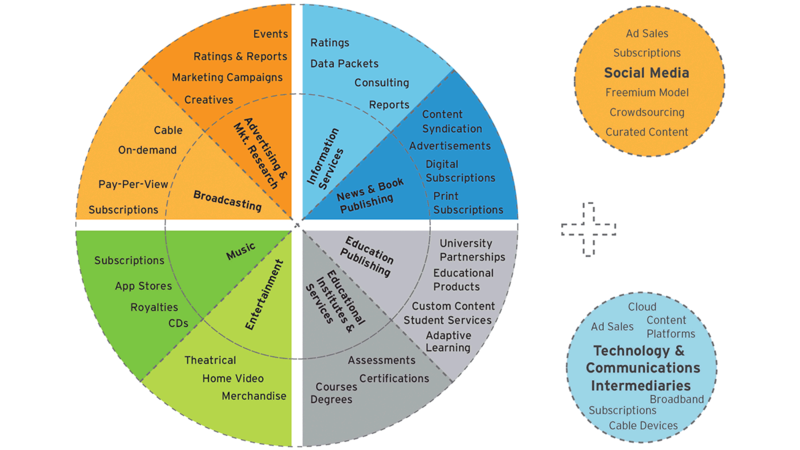 What type of enrichment does your content undergo throughout the value chain? Is there true added value or just transactional value? Outcome orientation. What objective is a customer trying to achieve by con­suming your content? How many steps must the customer take after consuming your content in order to reach that objective? To what extent are you involved in that process? Discoverability. To what extent is your organization’s metadata tagged to make it easily searchable? How many steps does it take to locate a typical piece of legacy content? Is your content discoverable across product lines and business units? Reusability. Is the legacy content in your organization easy to reuse across product and business lines? Is the reuse of content governed by an organizational rights and royalties management mechanism? Accuracy. To what extent must your organization work to improve the accuracy of its content? What are the main causes of inaccurate content? Have you ever had to correct content once it has been delivered to the customer? Metrics. Are your metrics set up to gauge whether the content you generate delivers the outcome the customer expects? How has your company modified its legacy metrics to address digital products and services? Delivery personalization. Is your content customized based on the customer’s Code Halo (demographics, profes­sional background, social network, immediate needs, previous buying behavior, location, time, and language)? If not, what are the impediments? Immediacy. Is the lead time for moving a piece of content across your company’s value chain longer or shorter than your key com­petitors’? What are the impediments to correcting the problem? Platform exposure. How many platforms is your content currently exposed to? Do you expect that number to increase in the next three to five years? Platform control. How much control do you have over the platforms through which your customers consume your content? Do you use advanced analytics to understand your customers’ behavior? How frequently do you lose customers to competitors on a particular platform? Ease of use. How seamlessly does your content transition from one platform to another? What is the lead time or the extent of intervention needed to enable the transition? Is a customer able to intuitively navigate your content? Assembly. Has the granularity of the content you deliver changed in the past three to five years? How easily can your company assemble and disassemble content based on the needs of the customer? Are you able to monetize each level of content assembly? 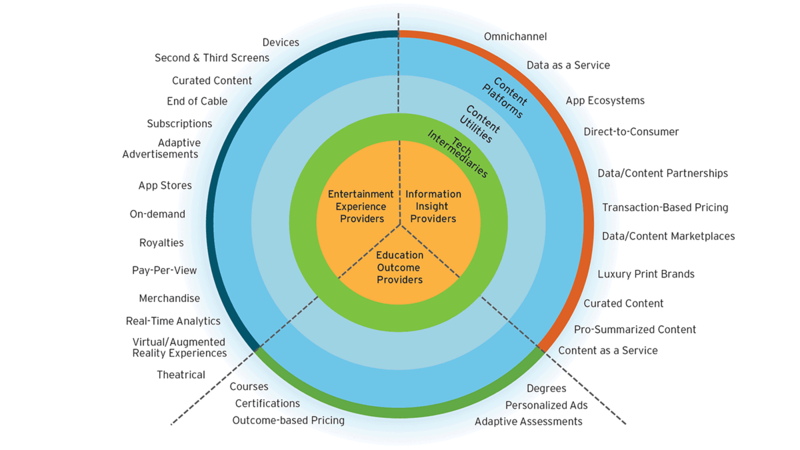 Adapted from Cognizant’s “Winning The Content Wars: A Playbook for Today’s Content Providers.” To learn more about how Cognizant is helping Media and Entertainment providers lead the way with digital, click here.